Halloween is such a whimsical holiday for us. I’m not big on scary or gory. I like silly and sparkly! 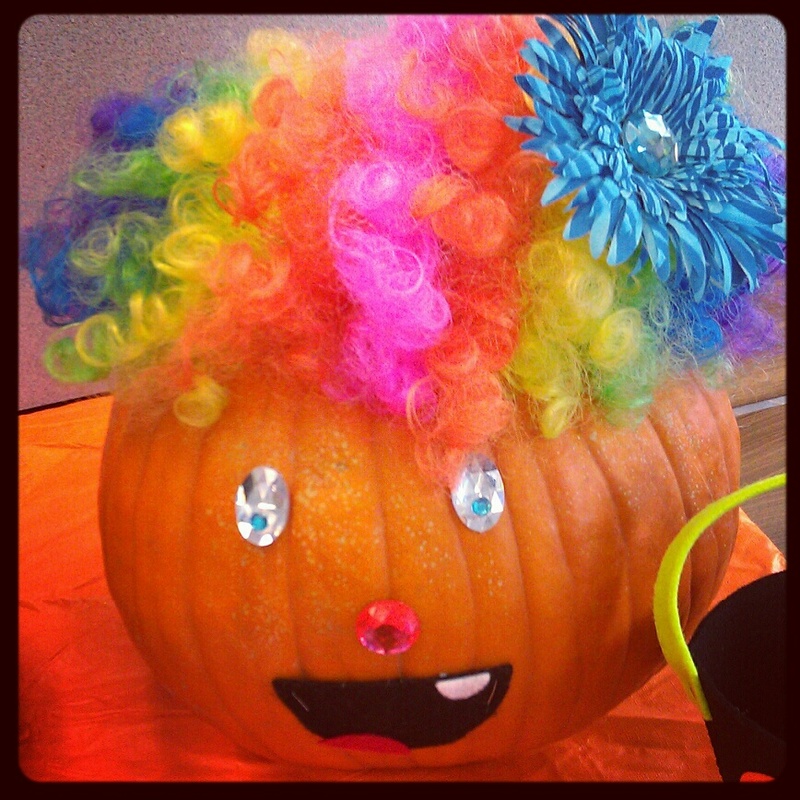 We all decorated pumpkins for Halloween at work!! Tomorrow is customer appreciation day. We’ve been busy brainstorming and preparing for it. We found a helium tank in the back room and blew up some balloons. These are the three decent ones we got before the tank was empty.